Bio: Jonathan Kierspe is a masters student at Bowling Green State University, where he studies with Dr. John Sampen. He currently serves as the teachers assistant for the Woodwind techniques class. He received his undergraduate degree in performance at the University of South Carolina under Dr. Clifford Leaman. During his studies so far, Jonathan has had the opportunity to play with the Augusta Symphony and Limestone College. He has also received first place in the South Carolina MTNA, second place in the WDAV Young Chamber Groups Competition, been featured on radio stations such as NPR and WDAV, and has performed for artists such as Claude Delange, Kenneth Tse, Tim Meyer, and the Imani Winds. The Segetem Quartet consists of four graduate students of John Sampen at Bowling Green State University. Since their formation in 2017, the quartet has been an active part in the Bowling Green community, including partnerships with the BGSU College of Art, and Praecepta, the University's new music organization. Segetem received an honorable mention in the 2017 Ohio MTA Chamber Winds Competition. Their 2018 schedule includes a performance and masterclass at the International Navy Band Symposium, as well as a recital later that fall. 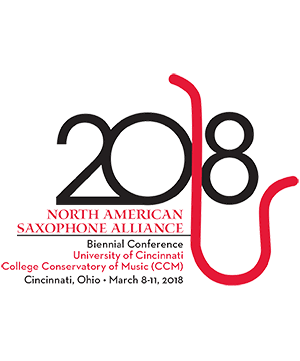 Claire Salli Alto Saxophone Claire Salli is a first year Master's student studying saxophone performance at Bowling Green S . . .
Soren Hamm Soprano Saxophone Heard on the popular radio programs Performance Today and Northwest Focus Live, saxophonist Soren Ha . . .
Piyaphon Asawakarnjanakit Baritone Saxophone Piyaphon attended the Pre-College of Music program at Mahidol un . . .